You've decided what kind of postmark you want to collect and you've found the cancellation you want. Great. Now you need some great stamps to go with it. If you want to collect traditional first-day-of-issue or digital color first-day-of-issue postmarks, the choice is easy. The only stamps that can be serviced with a first-day-of-issue postmark are the stamps specifically issued on that day that go with that ceremony. You can buy the stamps from your local post office or via the USPS web site, prepare your covers, and send them in for servicing. Your request for a first-day-of-issue postmark can be postmarked no later than 60 days following the ceremony. If you're not doing that, then your options expand significantly. If you have friendly staff at your local post office (for philatelists, small post offices are usually better than big, busy ones) then, by all means, go there and buy your stamps. But if you think it's worth $1.30 to $1.85 shipping and handling (as of this writing) to avoid having to travel to do your shopping and risk something being out-of-stock when you get there, buy your stamps from the USPS website. They arrive quickly and safely; your order is shipped with a tracking number; and everything that's in-print will be in stock, with good pictures on the website. Now it gets really fun. Let's say there is a cancel you really want that pictures a trilobite, and you are looking for a trilobite on a U.S. stamp. How about that. Before the text results even start, there's one in the images. 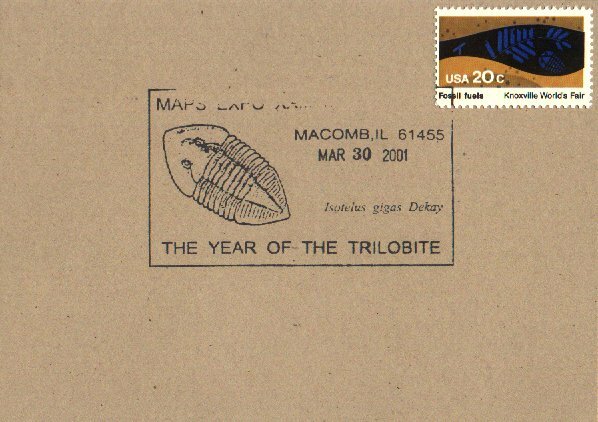 And yep, everyone is saying that's the right catalog number for this stamp. Awesome. We have our trilobite stamp. That process I just demonstrated is so simple that I cannot, in good conscience, recommend you buy a topical index in the way I would have recommended ten years ago. Just use Google and pay close attention to eBay results. Google is, today, the best topical index available. There are lots of places to buy out-of-print stamps. If you still have a local bricks-and-mortar stamp shop, lucky you! Go check it out. If there's a regular stamp "bourse" (sales area) in your area, you can go shop there. You can buy on eBay or Delcampe. Or you can buy from a dealer over the Internet. I've been exploring this hobby for twenty years, and 99% of my mint stamp purchases today are from eBay or from a particular dealer called Iowa Stamps & Coins. I'm putting in a plug for I.S.C. as a loyal customer, and nothing else: the stamps are high-quality and inexpensive, shipping is prompt and free, and they take credit cards. The online listings are a bit cryptic, but once you have the Scott Catalogue number in hand, it's easy. If you are going to be pursuing this hobby intensively, you will want a range of topical stamps at hand, as well as a lot of postage to use to send your requests and have them returned to you. 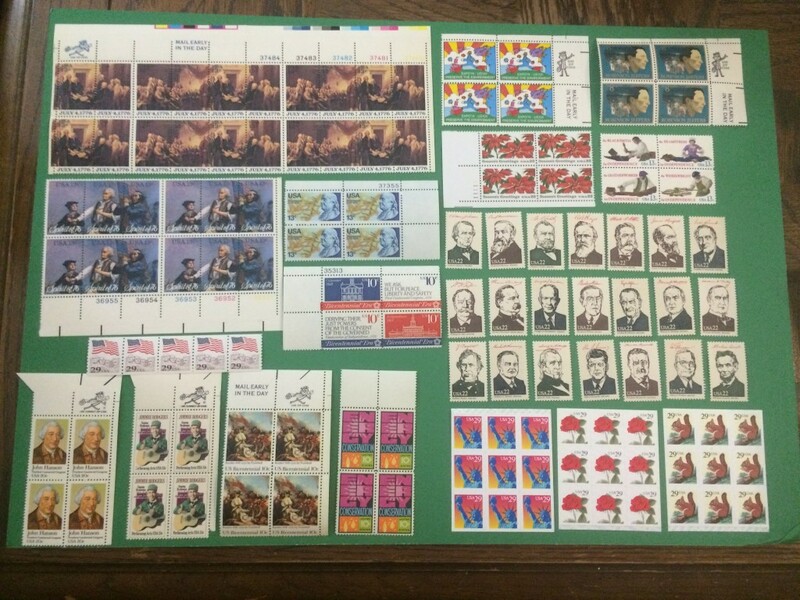 You can buy prepared lots of "discount postage" from reputable dealers: valid U.S. postage for under face value. The reason this is possible (and not a scam) is that there is so much old postage floating around that it is almost impossible to sell it all, because there are a limited number of collectors, and regular postal customers favor the convenience of a "Forever" stamp: most don't want to be sorting out 47¢ in assorted stamps to reach First-Class letter rate. But if you, as a philatelist, are willing to, go ahead and buy $100 in postage for $85 (or whatever the dealer charges). Sort through it; keep the ones you fancy for using on your postcards and covers; and use the rest to pay for your postage. It's totally legit, totally legal, and a great source for topical material.